This Thing Called Life! : You are the MAN!! I only used cardstock and the sentiment is stamped and then I inked around the edges. Really simple & really easy, I think it's hard (at least for me) to make elaborate male cards. I don't think many would appreciate all the embellishments anyway..! The stars are part of the MFT Blueprints 13 as is the pinked circle, and I colored with copics. A wonderful cool card, great for all superheroes. 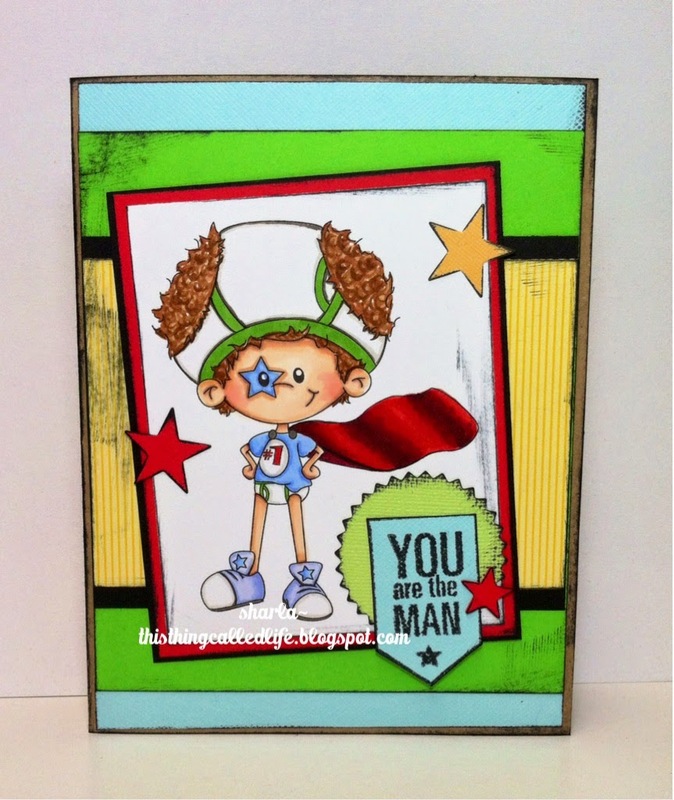 So pleased you shared with us at Cardz 4 Guyz. Caz. What a fab superhero image and great colouring. Super card! Your nephew is going to love it. Great colours, and of course that ARF image is just so cute! Thanks for joining us at Southern Girls this week. Fantastic card, love the bold colours. Thanks for joining us for our 'Starry Starry Night' challenge #108. Such a fun card! Thank you for joining us over at MarkerPop! for our Anything Goes Challenge! And there he is!!! He is AMAZING and I love the grunge look you've given your background paper too!! Thanks for joining us at LMMCB this week.